Newly promoted Detective Inspector Tony McLean has been living his life in limbo. His finacee died a couple of years ago and his grandmother, who raised him since he was four after the death of his parents, has been in a coma for 18 months. Travelling home one evening he spots flashing blue lights outside a house and stops to offer assistance. A prominent city resident has been murdered, but the investigation is in hand and he’s sent on his way. The following day he’s called to a building site where the body of a young girl has been discovered, apparently murdered in a strange ritual some sixty years previously. McLean is oddly affected by the case and makes it his priority, despite being drawn back into the first case as pressure within his station mounts. Then there’s a breakthrough with the killer seemingly found having taken his own life, only for a very similar murder to happen shortly afterwards. Against his rationality, McLean suspects some link between the long dead girl, the deaths, and the supernatural, and with the death toll mounting he and his colleagues are under pressure to solve the case. 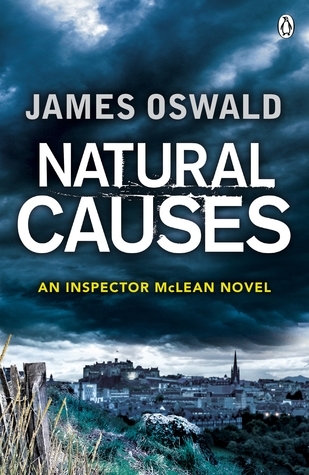 Natural Causes in the first book in the Detective McLean series set in Edinburgh. The tale is a police procedural thriller with a supernatural bent. Oswald has an engaging voice and he keeps the pace and action high, with plenty of twists and turns and a fair dose of emotional heart-tugging with respect to McLean’s personal life. McLean is the typical wounded cop and Oswald quickly has you on his side, and there is a decent amount of character development as the story unfolds. His colleagues are also nicely penned and there’s a good sense of place with Edinburgh forming the backdrop. The plot is an entertaining yarn as long as one can suspend disbelief, with the procedural elements as much a fantasy as the supernatural heart of the tale. Nonetheless, the story rattles along, with the body count rising as it makes its way to its denouement. I’ll certainly be checking out the next book in the series, The Book of Souls. I'm just back from an interesting trip to Zagreb, where it rained heavily pretty much non-stop. 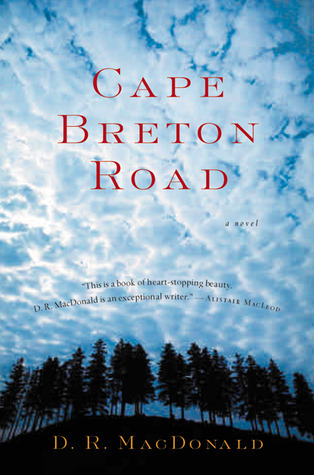 The next trip is to Nova Scotia, including a trip to Cape Breton, so I've bought a handful of books to accompany me: Lunenburg by Keith Baker, Cape Breton Road by D.R. MacDonald, Sign of the Cross by Anne Emery, and Blizzard of Glass: The Halifax Explosion of 1917 by Sally Walker. It's time I expanded my Canadian repertoire a little. ‘But it’s our home,’ Doug said to the officer. On January 22nd 1944 the Allies landed at Anzio, about 60 kilometres south of Rome. The beachhead was quickly established and the troops were meant to break out and head north and east to liberate the eternal city and cut-off German troops manning the Gustav line at Monte Cassino. Instead, the Anzio landings turned into a desperate war of attrition as the Germans mounted a campaign to drive the Allies back into the sea. Moreover, the Gustav line held firm, with Monte Cassino becoming one of the most bloody and controversial battles of the war. It was only on June 4th that the Fifth Army entered Rome, abandoned by the Germans largely intact. Trevelyan tells the story of the liberation of Rome using four narratives. The first concentrates on the inhabitants of Rome, especially the lives of and roles played by the resistance members, Vatican/church workers, and senior German and fascist officers. The second focuses on the Anzio beachhead and the skirmishes between the Allied and German units, and the in-fighting between Allied commanders. The third concerns the battle at Monte Cassino, the lynch-pin of the Gustav Line. And lastly, the author’s own recollections of taking part in the campaign as a young officer. Trevelyan certainly pulls together a lot of information, covering the various battles and skirmishes from a variety of perspectives, including testimony from locals, resistance fighters, and the German Army, as well as the Allies. And rather than simply providing a high level overview, he captures the everyday experiences of different groups of actors. He also details the various political shenanigans going on between rival Italian groups and within the Allied and German armies. The result is quite a rich telling of the liberation. However, how the material is put together is sometimes a little uneven and somewhat sketchy. Moreover, the book has a hard start and end dates, meaning some contextual framing is missing, and the liberation of Rome itself felt a little rushed, consisting of just a few pages. 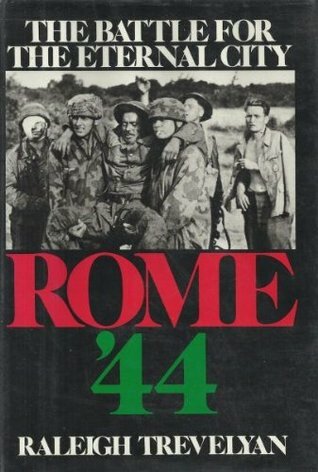 Nonetheless, Rome ’44 is a fascinating account of the Italy campaign in the first six months of 1944. I've realised that I completely forgot to do a summary post of my August reads, so here it is. A month of 3 and 3.5 star reads. All solid and entertaining enough, but no real standout book. I think this is the first month since starting the blog that I've not read a four star or higher book. 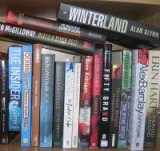 Nevertheless, it didn't feel like a poor month of reading and I've previously read books by five of the authors. I'm off to Zagreb this week to give a talk. 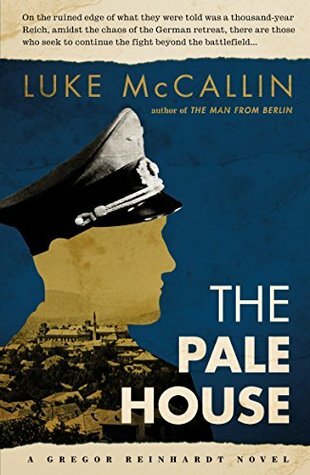 My choice of reading is going to be Luke McCallin's The Pale House, which is actually set in Sarajevo, but it's the nearest in geographical terms amongst the books on my to-be-read pile. I've not been to Croatia before and I'm looking forward to the trip. After twilight came the moon and stars and the chatter of a spandau just below the ruined monastery walls. Kelly ducked out from behind a large boulder and slowly picked his way up the slope. Ahead he caught a few words of German and dropped behind a fallen tree. Nearby a man laughed, answered with angry words. A scrawny boy lined up in Kelly’s sights. He looked seventeen going on forty. The boy dropped from view. Flynne and her brother, Burton, live in rural America in the not too distant future, where the drugs business, the Hefty corporation, and Homes (Dept Homeland Security) control just about everything. Their life consists of raising the money for their mother’s meds and playing games for others for cash on what passes for the internet. When Burton is called away, Flynne steps in to play security in what seems like a staid beta game. All she is supposed to do is work a perimeter around a huge tower block, keeping away buzzing objects. Then she witnesses what appears to be a murder. After that things start to get a little crazy, with a contract taken out on Burton’s life and a corporate entity from Columbia, Coldiron, seeking to protect them. Whatever Flynne has witnessed, one group wants her dead and the other wants her to identify the killer. And both seem to have the resources to make staying alive one hell of a ride. It’s easy to understand how some readers might get frustrated with William Gibson’s writing style. In The Peripheral he uses a raft of made-up slang and neologisms, new cultural norms and invented technologies without ever explaining them. He just plunges the reader into the narrative as if the world he is describing is entirely familiar. One simply has to either try and work it out, or guess, or keep reading until what is being described eventually makes sense. It took me about 80 or 90 pages to feel confident that I knew what was going on, but by then I was entirely immersed in his worlds. And from there on in it was a really great read as Gibson conjoins two parallel histories, separated by seventy years, with the witness to a murder in one residing in the other, and ideas and minds shuttling between the two. Flynne is an engaging humanist lead and Gibson populates the books with a coterie of other interesting characters, especially the cynical, jaded PR man, Wilf Netherton, and a clever, mysterious cop, Lowbeer. The plot is ingenious and nicely constructed, and after a somewhat ponderous opening gains direction and pace. The temporal separation of the two eras enables Gibson to explore the unfolding arc of history, and the interplay of politics and technology and to speculate on the fate of humanity. Moreover, there is a good sense of place, both of rural America and urban London. My advice is, if you find yourself struggling in the open chapters to understand what is happening, simply keep going and you’ll be rewarded for doing so. I thought it was a great read. Another busy week, which meant a slow week of reading. 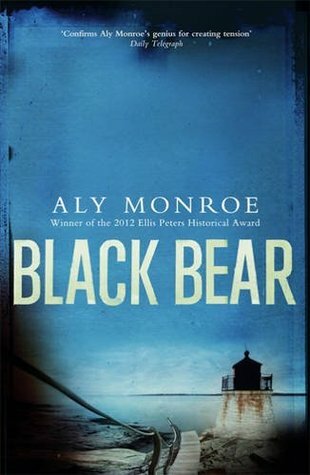 I have though almost finished Aly Monroe's Black Bear, which is proving to be an engaging read. I've just booked my accommodation for a trip to Nova Scotia in October. Does anyone have any recommendations for novels set there? Every cell in Holden’s body vibrated with fear and shock. Two hours of heavy shelling, punctuated by probing infantry attacks, had him shaking like a jitterbug. Only the soundtrack was all wrong. Instead of Benny Goodman and His Orchestra, he was jiving to Jerry Howitzer and his machine guns. They were big on percussion and bass, but devoid of melodies and harmonies. Betty would have hated it. She’d only dance four four. Not that he’d be dancing any time soon. Not with one leg. Or perhaps never again unless a medic was suicidal enough to join him in no-man’s land. Aaron Katz has packed in his Wall Street job and headed to Key West with his elderly father to take over a rotting guest house, The Mangrove Arms. Suki Sperakis is a College dropout who’s drifting through life, presently selling ad space for a local freebie paper. She’s intrigued as to how all the Russian-owned t-shirt shops manage to turn a profit, suspecting they’re a front for laundering money. Using her job as a cover she starts to investigate. In the meantime, she meets Aaron and Eros casts his spell. Then she disappears, seemingly the victim of the Russian mafia. Along with his inventor father, his friend ex-mafiosa Bert the Shirt, and Pineapple and Fred, two vagrants who live in a ex-hotdog van, Aaron sets out to rescue Suki and take on the bad guys. 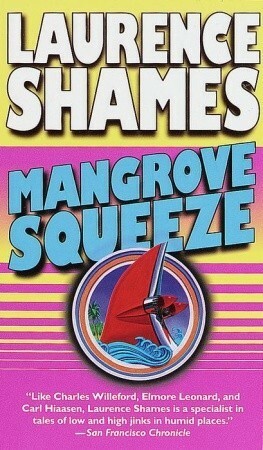 During the 1990s Laurence Shames published a series of standalone comic noir novels set in Key West, Florida. Mangrove Squeeze was the fifth. In the tradition of Carl Hiassen and Tim Dorsey, Shames sets ordinary people in the crazy underbelly of Florida, interacting with a motley crew of colourful characters as they’re caught up in a madcap escapade. So it is with Mangrove Squeeze, with Aaron and Suki taking on plutonium smuggling Russian mafia aided by two philosopher vagrants, a retired mafiosa, and Aaron’s dementia suffering inventor father. The result is a tightly told tale that rattles along at a fair clip. There’s no major surprises and it’s all a little predictable, but nonetheless it’s enjoyable jaunt, made-so, I feel, by its engaging assemble of well drawn actors and their interactions. And there are some genuinely amusing moments, especially Fred and Piney ruminating on life, the universe, and whatever else comes to mind. A busy week. First hosting the Data and the City workshop in Maynooth from Sunday evening until Tuesday night. Then two talks on Thursday: one in Dublin Castle as part of Irish Design 2015, then another at an Internet of Things meetup. On Friday I got news that I've won a tender from the Taoiseach's (prime minister's) department to write a report on citizen-related data privacy/protection concerns arising from the development of smart cities. That, along with another project, will keep me busy for the next two months. 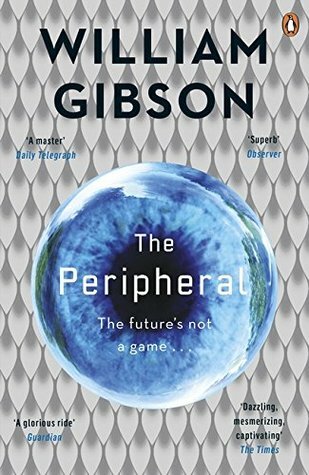 On the book reading front I'm slowly making my way through William Gibson's The Peripheral. The late 1980s and Arthur Combs, a 73 year old Englishman is found dead at his home at the edge of the Dublin mountains. Detective Sergeant Matt Minogue of the Dublin Murder Squad is assigned the case. Minogue is a thoughtful copper and family man who quickly determines that this was no ordinary burglary turned violent. On the other side of the Irish Sea two civil servants, one in the foreign office the other MI5 are equally perturbed by Combs’ death. The elderly man was a low-level British agent with a troubled past. With new Anglo-Irish talks about to begin, for differing reasons they want to know want to know what damage Combs might have done before he was killed. And while one of them underestimates the Irish police, the other is aware that Minogue is a canny cop with a knack for unearthing the truth. Then a second man is killed. 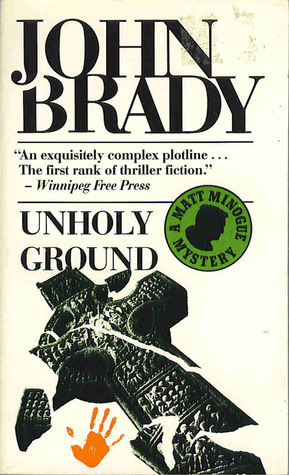 Unholy Ground is the second book in the Matt Minogue series set in Dublin. 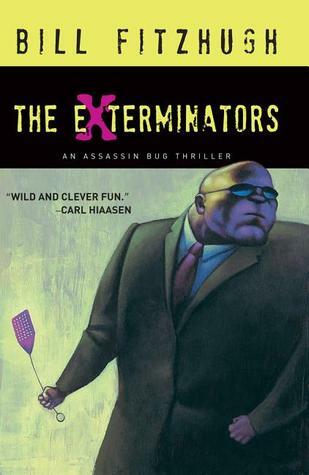 Published in 1989 it is a book very much of its time, concerned the death of a British agent near to Dublin during The Troubles, but focusing on a cat and mouse game between the Irish police and British establishment and its connections to the violence in the North. Brady’s narrative is divided into two main threads. The first follows the investigation led by Detective Sergeant Matt Minogue. The second details the Whitehall moves of Kenyon, a MI5 operative who is aware of how the agent’s death could blow-up politically. The result is an engaging, understated read that, for me, was reminiscent of John Le Carre’s Smiley novels. Unholy Ground is not a thriller with a capital T, but rather one that focuses on the everyday, mundane nature of policing and politics. Minogue and Kenyon are not action heroes, but two pawns in a tense game of chess in which false moves have real consequence. The plot is engaging, the dialogue and sense of place nicely executed, and the characterisation excellent. Overall, a very nice police procedural/spy crossover tale.